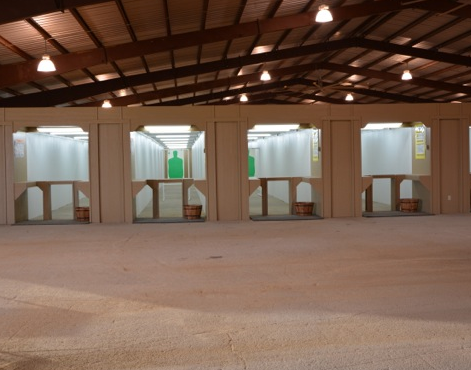 Welcome to the Sportsman Shooting Center, the ONLY indoor, live-fire shooting cinema gun range in the USA. 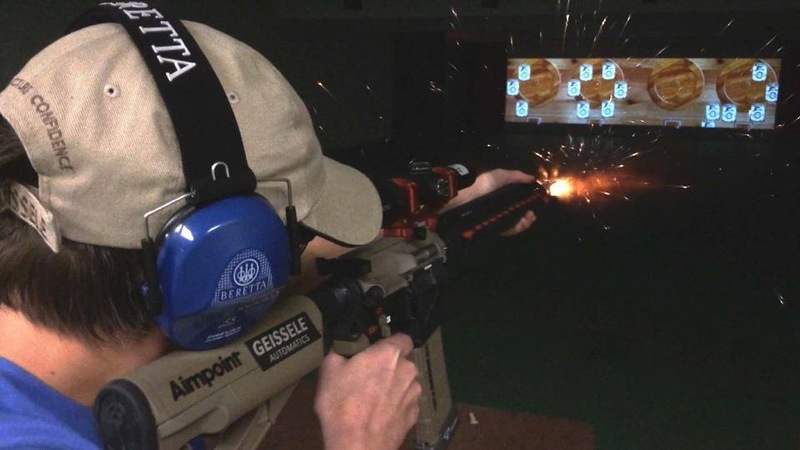 Conveniently, located just north of Dallas/Fort Worth Airport in Grapevine, Texas, opposite Bass Pro Shops off HWY 121, our state of the art indoor shooting and instructional facilities create the ideal location to experience a unique, exciting, shooting environment like no other. 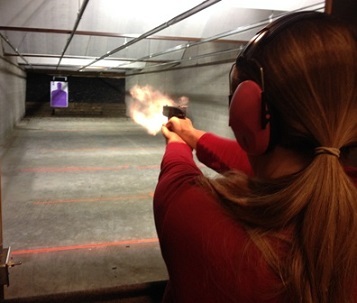 This is not your typical shooting range. Handgun, Carbine, and Rifle shooting is our business! Our indoor shooting range and BKE Hitcom® system allows shooters to experience the thrill of tactical shooting and big game hunts without ever leaving the DFW area! Going on a big hunt? Master your skills with various patterns of movement, weather, and lighting scenarios. Our ranges handle any caliber of rifle from .17 HMR to .505 Gibbs! You have to see this to believe it! 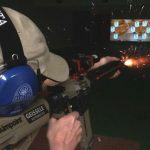 Installed in a climate controlled, indoor cinema gun range, our BKE Hitcom® system allows shooters to engage a wide variety of life-sized images projected on a 12’x30′ movie screen, with live ammo! As you shoot these dynamic, realistic targets, your shots are electronically recorded, highlighted, and scored. Our instructors are available to help you master your shot placement and overall shooting skills. The experience is action-packed. Our 100-yard shooting tunnel, located underground beneath the facility, is equipped with an Olympic-grade Sius® acoustic targeting system. Instead of retrieving paper targets, scoring is electronic. Your shot groups are displayed on a flat screen monitor next to you. The system’s computer performs instant analysis on group size and deviation. Print out your test targets with our laser printer and label them for different loads and ballistic performance. We have an ADA compliant elevator installed to ensure that this range is fully accessible to shooters who cannot navigate the stairs.